The Long awaited One Plus two is finally here , the phone – a sequel to the successful One Plus One of last year was probably one of the most desired smartphones of the era but now the company is back with a updated hardware spec sheet and in house software . The OnePlus Two smartphone basically looks like a modded OnePlus one – well thats because most of the phone is based on the older OnePlus chassis including the display which hasn’t received any change as well as some of the styling cues . The front of the device now has a fingerprint sensor – which is actually a static touch pad style one similar to the ones HTC uses and does not press in . There are two capacitive keys which flank the sensor and they can all be customized to launch different tasks if you prefer , the OnePlus Two also supports display default Lollipop touch keys . The rest of the specs include a MicroUSB type C port which is a departure from the MicroUSB 2.0 technology used in the old version , this however does have a negative impact as the phone no longer supports fast charging which might make charging a bit of a lengthy process . there is also a rear facing dual (no longer stereo) speaker set up , Dual sim port and a altert/lock slider to the side . 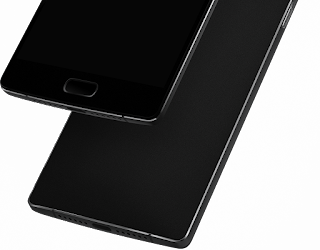 Camera specs of the OnePlus Two is said to come in the form of a 13MP 6 element lens module which features Laser autofocus , the module has optical image stabilization as a f2.0 aperture and 1.3 um . The rear sensor captures 4K video recording while the front facing wide angle 5MP sensor can only record 1080p . Availability of the Oneplus Two is still a bit of a challenge as before , you still have to wait for a “invite” and if you are in the first pool of lucky customers you can hope to grab the 16GB version for $329 and the 64GB version for $389 , this however depends on when you will get the invite so if you are already signed up , pay close attention to your email inbox as Oneplus usually gives a very short grace period to make a purchase before the invite expires . Previous article15 Useful Light Designs for You.